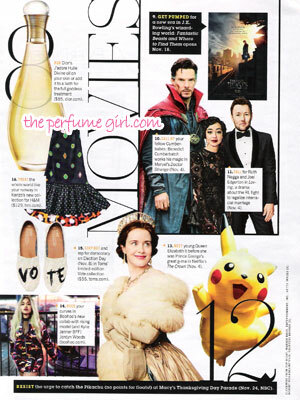 J'adore Eau de Parfum is a floral. A unique, sophisticated composition. 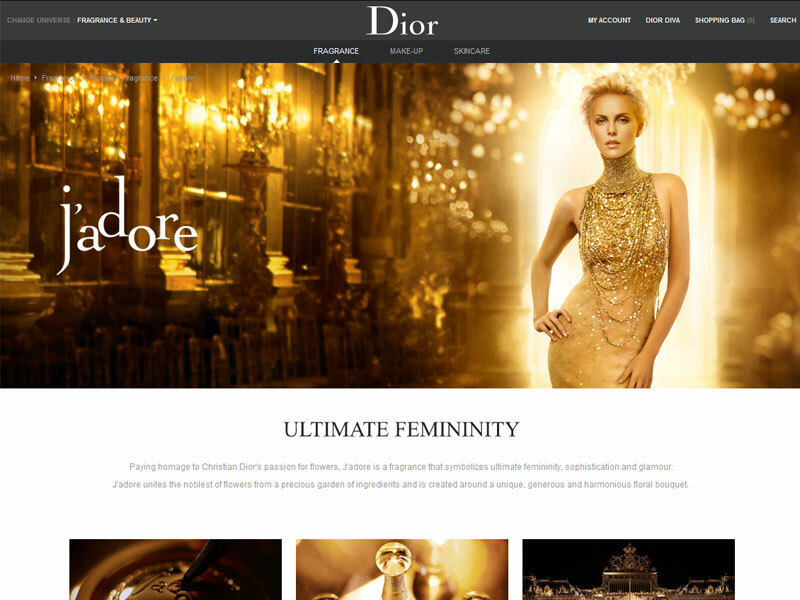 The great feminine by Dior. Top Note - Ylang-Ylang of the Comores: Grown in the Comoros archipelago, fresh Ylang Ylang flowers are steam distilled to obtain the essence used by perfumers in a number of fragrances. Ylang-Ylang blends well with a variety of floral notes, bringing elegance, volume and originality. Its array of emotion is released as the top note of J'adore. Heart Note - Damask Rose: Originally from Turkey and Bulgarian and a key element in the perfumer's palette, Damask Rose is used for its essence and absolute. It flourishes as the heart note of J'adore. Base Note - Sambac Jasmine: The symbol of soft femininity, Jasmine is one of the most commonly used flowers in perfumery. It is so delicate that it alone is a fragrance. Jasmine is one of the components of the heart note of J'adore. As an aesthete and a perfumer, Christian Dior vowed his endless passion to flowers. Francois Demachy, Perfumer-Creator for the House of Dior, is just as fervent when it comes to beautiful substances that build on the heritage of Dior. By celebrating Ylang-Ylang from the Comoro Islands, Rosa Domascena and Jasmine Sambac, the J'adore fragrance united the noblest flowers from the garden. The Eau de Parfum is the superb women's floral fragrance by Dior, boasting an intense, vibrant and sensitive bouquet with inspiring richness. Francois Demachy's expertise and passion are conveyed by the different J'adore emotions, which each reveal a new facet of the floral bouquet. The Eau, a floral Cologne, underlines the richness of the Magnolia flower with intense freshness. 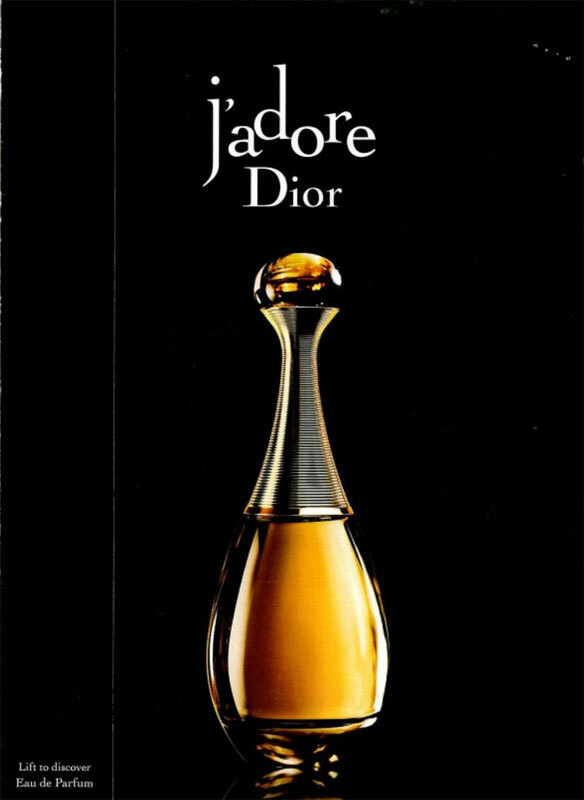 J'adore L'Or, Essence de Parfum contains high concentrations of exceptional flower absolutes. The floral majesty of Rose de Mai and Jasmine de Grasse are combined with sensual Vanilla and smooth Tonka Bean Absolutes. J'adore announces triumphant femininity. This absolute femininity was celebrated by Christian Dior in the fitting room, where he embellished women with his creations. J'adore reveals this femininity like a treasure. 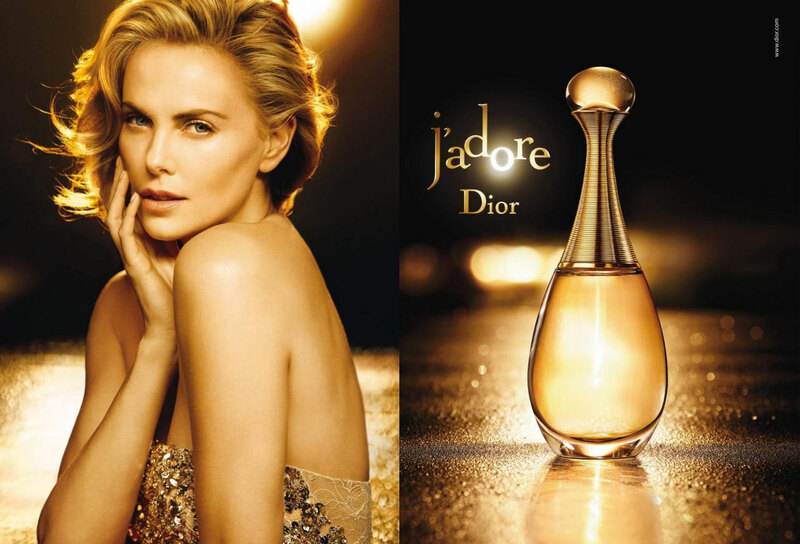 The era of proud, serence and confident femininity unfolds with J'adore adn the sublime actress Charlize Theron. Dressed in an Haute Couture sheath gown by John Gallianon, she evokes the image of J'adore femininity in a world made of gold and pure light. More stunning than ever, she dazzles in the fragrance film. We watch he stride through the rooms of the House of Dior, casting away jewelry, baubles and adornments to bare the truth and origin of the fragrance. She is completely free. She is the ultimate woman, the object of J'adore adoration: strong, sensuous and always in motion. CLASSIC - Dior J'adore is bright and cheerful, with roses, jasmine, and youthful bergamot -- nothing heady of old-lady-ish here. 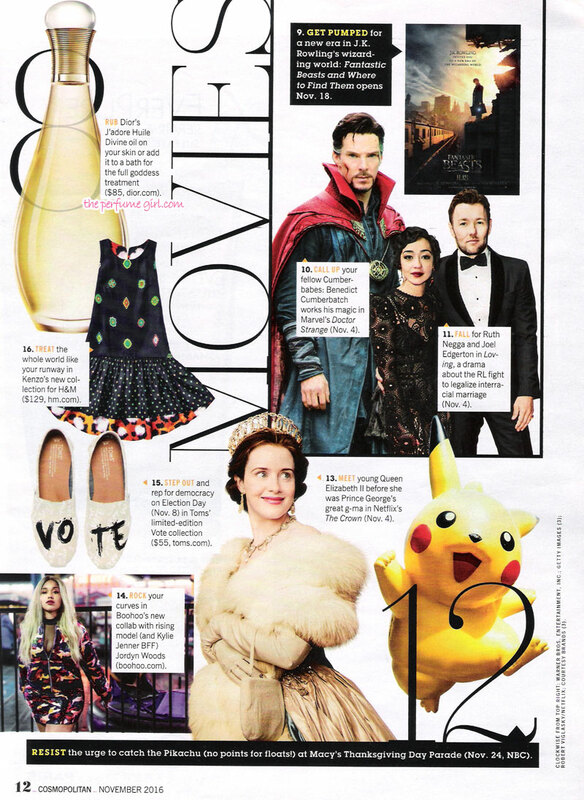 Women's Scent - $60 to $98, depending on size, Macy's, Nordstrom, Bloomingdale's, Saks Fifth Avenue, Sephora.